Religious exemptions from school vaccination requirements have been specifically linked to chickenpox outbreaks, and the health department took reasonable and appropriate steps to stop the spread of the highly contagious illness. On April 2nd, Judge James R. Schrand ruled against Kunkel. We applaud this decision, but we’re frustrated with how this suit was described by the media. While a number of news sources reported on the legality of such religious exemptions and the public health ramifications, too few initially challenged the bad science behind Kunkel’s claims. We encourage digging a little deeper and challenging the falsehoods that underlie many of the religious objections to vaccination. Kunkel’s suit claimed that the chickenpox vaccine is “derived” from aborted fetal cells. The anti-vaccination movement often goes even further, promoting the false idea that vaccines actually contain “aborted fetal cells” or “aborted fetal tissue.” Whether “derived from” or “contain,” both are rooted in pseudoscience and anti-choice rhetoric. It isn’t just anti-abortion Christians who’ve been targeted for this kind of false propaganda, however. A measles outbreak in Israel and in a number of Orthodox Jewish communities in New York has been fueled by false claims that “vaccines contain monkey, rat and pig DNA as well as cow-serum blood, all of which are forbidden for consumption according to kosher dietary law.” So what’s the truth? 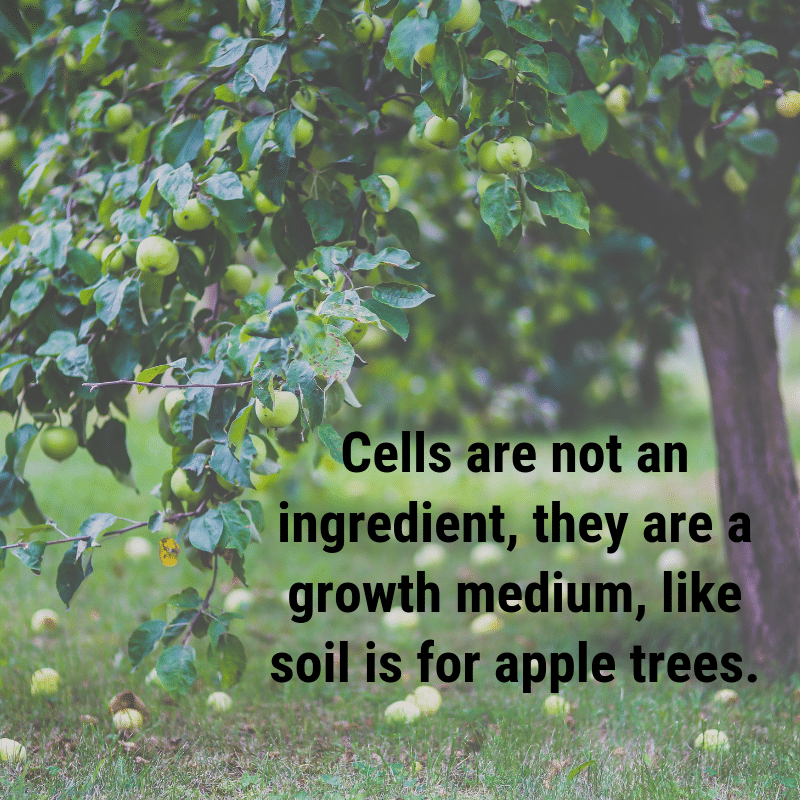 Cells, human or animal, are needed to grow the viruses that are used to create vaccines in the same way that soil is needed to grow apple trees. And just like eating an apple is not the same as eating a handful of dirt, the cells used to create the vaccine are not the same as the vaccine itself. While it is possible that “perhaps billionth of a gram” of DNA fragments may still be found in a vaccine, “you would find as much [DNA] if you analyzed the fruits and vegetables you eat,” according to the U.S. Centers for Disease Control and Prevention. In the case of the chickenpox vaccine and others, the viruses are grown using two specific cell lines. Cell lines are cells that are harvested once and then frozen and reproduced in a lab. The cells used in creating vaccines were originally taken from the fetal lung tissue from two abortions in the 1960s, one in the U.S. and one in the U.K. The cells have since been reproduced independently and are many generations removed from the original source decades ago. The chickenpox vaccine is, therefore, developed with the help of cells grown in a lab that were never components of fetal tissue. Even otherwise anti-abortion extremists in the Catholic Church and the Pope himself agree that the public health risk associated with refusing vaccinations, particularly to young children, outweighs concern about the historical association of the cell line and abortion. Kunkel is aware of the Pope’s stance on vaccination, he’s just more Catholic than the Pope. But if viruses can be grown in animal cells, why not use those and avoid the ‘controversy’ of abortion altogether? For one, using these two cell lines is necessary for many reasons and cannot simply be substituted for cells from a different cell line. But perhaps even more importantly, the attack on abortion is just a ruse. The anti-vax movement is happy to cynically exploit and inflame anti-abortion rhetoric as a means of fighting vaccination. And the anti-abortion movement’s already well-established embrace of pseudoscience makes them particularly easy marks. But as the propaganda flooding Orthodox Jewish communities highlights, the anti-vax movement is just as happy to exploit fears about vaccines developed from animal cell lines. Switching to a less effective cell line wouldn’t stop the anti-vaxxers, it would just lessen the effectiveness of the vaccine while simultaneously rewarding attacks on abortion rights. Pseudoscience attacks by anti-abortion and anti-vaccine proponents aren’t convincing unless they’re embellished with lies. Like so many other pseudoscience attacks on abortion that fall apart under scrutiny, the proponents of anti-abortion anti-vaccine myths seem to realize that their radical views aren’t convincing unless they’re embellished with lies. But the truth is that abortion is a safe, effective, and moral choice for pregnant people. And medical research conducted with fetal cells has saved millions of lives. Stopping that research, as abortion opponents have sought to do, puts extremist ideology over life-saving medical science. 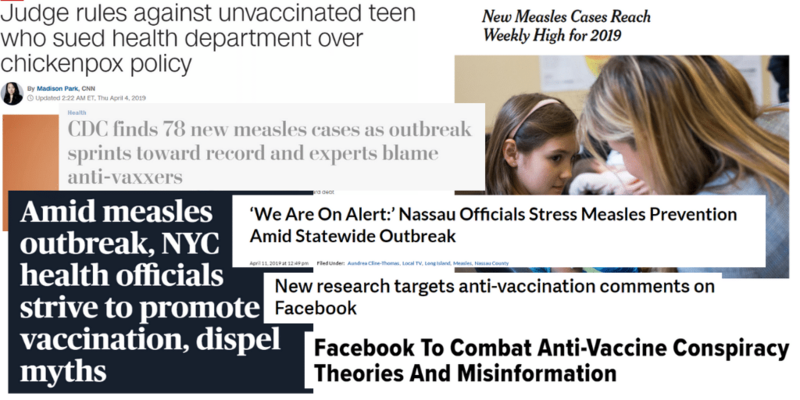 Whether it is chemophobic fear-mongering or anti-abortion rhetoric deployed in the fight against vaccines, we’ve reached a dangerous moment in our society where seemingly disparate anti-science, anti-evidence movements are converging and feeding off of each other. Kunkel’s case doesn’t represent religious freedom, but rather a scary new phase in attacks on our rights, our health, even our lives.